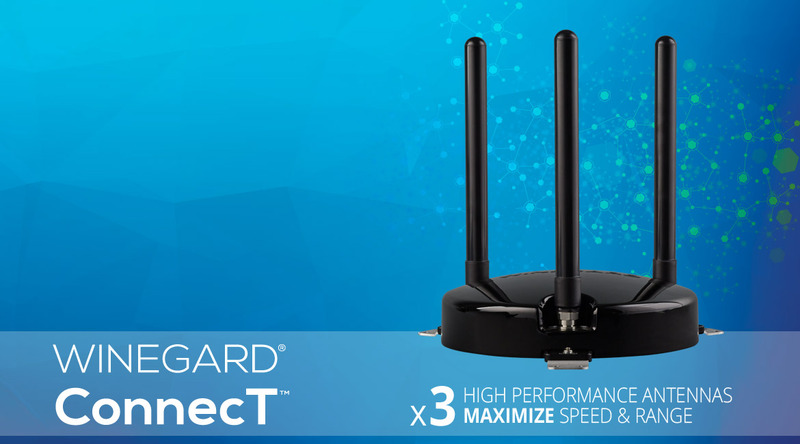 First announced in September 2016 - the Winegard ConnecT WF1 package consists of an indoor Wi-Fi router and an outdoor long-range unit that are designed to work together. 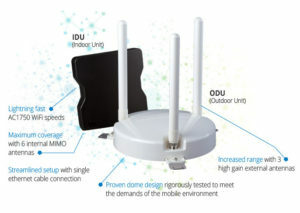 The ConnecT 4G1 (released in spring 2017) adds an embedded AT&T cellular modem to the roof mounted unit, with two external cellular antenna. 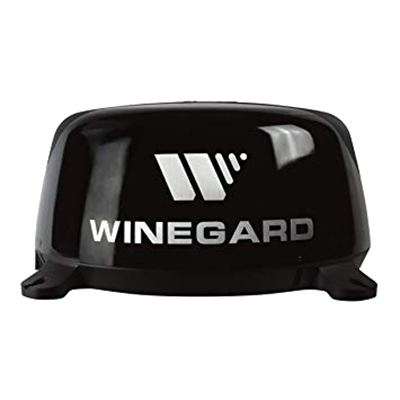 The Winegard ConnecT looks like an upside down three-legged stool. It definitely stands out on an RV roof! 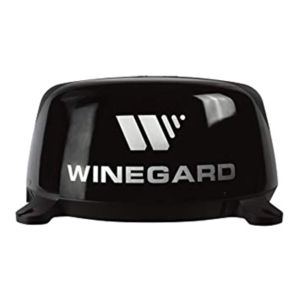 Winegard has a long reputation in the industry as the leading provider of both satellite and over-the-air TV antennas designed for RV use. RV Wi-Fi range extending, and integrated roof-mounted cellular modems. I n early 2018, Winegard released the ConnecT 2.0 in both Wi-Fi and LTE only models. 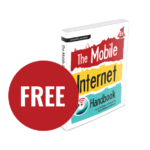 It is lower priced, more visually appealing and allows you to use your own SIM card - but removes the interior router component. Winegard keeps both products still available, and we definitely recommend considering the 2.0 to see if it might meet your needs as well. There are pros and cons to both models. The ConnecT 4G1 on our roof, next to competitors WifiRanger SkyPro and Sky2. The ConnecT outdoor unit looks like an inverted three legged stool, and honestly it looks a bit odd on an RV roof. 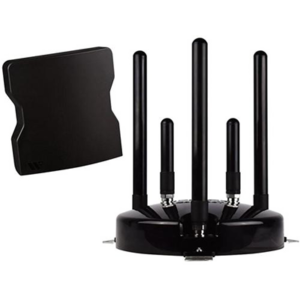 The three legs of the stool are actually high-gain 5dBi Wi-Fi antennas, and the Wi-Fi radio in the base can use these three antennas to lock on to distant 2.4GHz 802.11b/g/n campground Wi-Fi. 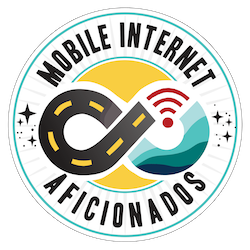 The indoor unit is a modern 802.11ac simultaneous-dual-band 2.4GHz / 5GHz AC1750 wi-fi router, which should be able to fill the interior of any RV with an extremely fast indoor private wireless LAN. If you have wired equipment as well, the ConnecT also provides a single wired gigabit ethernet port. The outdoor unit connects to the indoor unit via a 25' ethernet cable, which provides both the power and a data connection between the two. 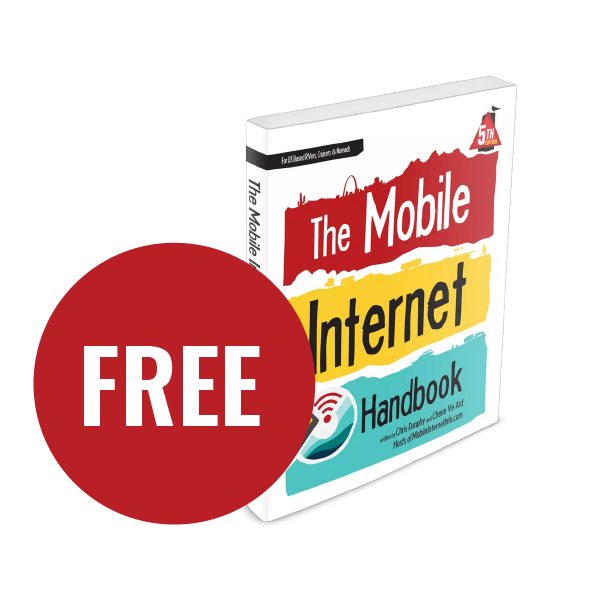 The Winegard ConnecT WF1 package consists of a small indoor router to provide a private network inside your RV, and a long-range roof-mounted unit for connecting to nearby public Wi-Fi sources. The original Winegard ConnecT looks like a porcupine on your RV roof, and comes with an indoor router as well. 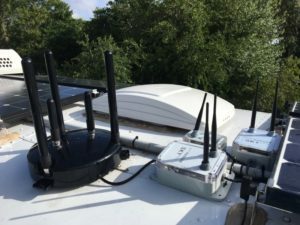 Roof mounted AT&T LTE modem w/ MIMO antennas. Integrated SIM, no accessible SIM slot. Ethernet Ports: 1x 1000Mbps Gigabit Ethernet LAN, 1x POE for roof unit. 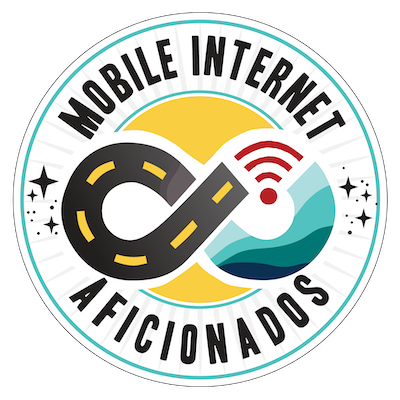 We tested a prototype ConnecT s beginning in May 2016 for Winegard, and our impressions are shared below with our members. In May 2017, Winegard sent us their newly released ConnecT 4G1 cellular model utilizing an AT&T data plan. Here is our quick unboxing video and first impressions of the Winegard ConnecT 4G1, filmed in April 2017. Our deeper analysis, impressions, and video guide are in our members-only section. 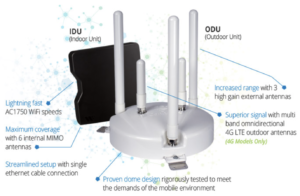 The roof mounted units for both the Wi-Fi only ConnecT WF1 and the LTE-equipped ConnecT 4G1 are available in either black or white. Other than the external case color difference, the setups are identical.